Zona Rosa kicks off the 2018 holiday season with a special lighting ceremony to spotlight the large crowns hung above the streets, as well as the featured 50 foot Christmas tree in Town Square. 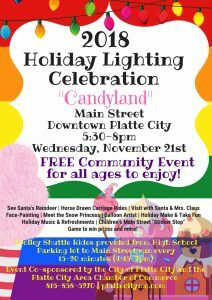 The community is invited to this FREE program including the official arrival of the holiday Fairy Princess & Santa Claus! Downtown Platte City, 415 3rd St. Sponsored by Platte City Area Chamber of Commerce and Platte City Parks and Recreation Arrival of Santa and Mrs. Claus, Santa's reindeer, horse-drawn carriage rides, children's crafts, children's rides, museum holiday-decor tours, balloon artist, face-painters and Main Street Game with prizes. 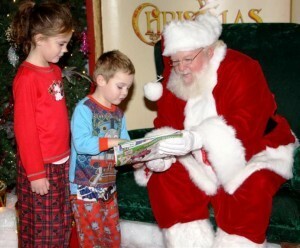 Friday, November 30th - 6:00 PM The Grove Santa makes his formal arrival with a fun pajama party for the whole family! 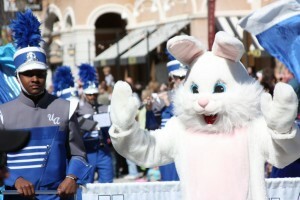 Bring the kiddos and meet the Easter Bunny and enjoy a free, family-friendly event! Live Music by the fabulous kids band, Heather's Art Garden Snap a Photo with the Easter Bunny Enter to win prizes Kids Crafts Treats & Snacks And More! Hope to see you out!